Four things on this snowy Wednesday! 1) It really did snow! 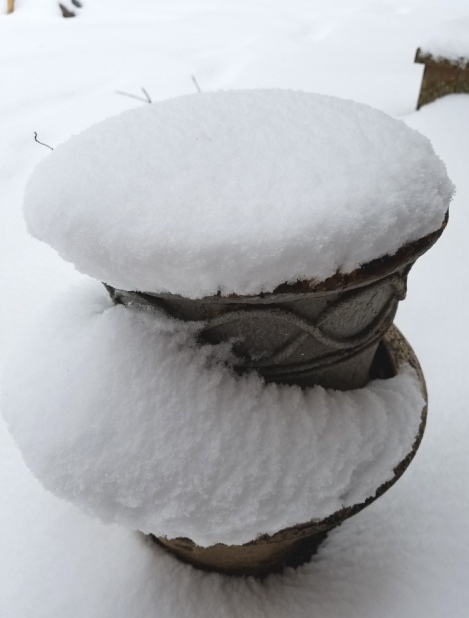 Where did the spring flowers go? While the snowing part is probably done, there’s no reason to venture out in the yuck for Yoga. There will be NO classes tonight at Peaceful Hands – stay in, stay warm, and we’ll extend the session accordingly. Some folks have struggled with Table and other poses that put weight on their knees. 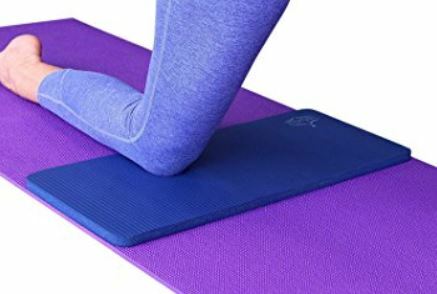 I am pleased to offer a Yoga pad for knees that is working great for other people in our classes. It’s light, made of the same material as a Yoga mat, gives cushioning (under your knees, under your hips, under your head in savasana … ) and doesn’t get in the way of your practice. If you’d like me to order one for you, just let me know. Your cost is my cost: $20, which includes shipping/tax, etc. 3) Annette’s ENERGY MEDICINE YOGA Workshop has been rescheduled for SATURDAY, APRIL 7. 4) Is it really too snowy for Yoga? Never! Unroll your mat today at home, and Yoga like a penguin! Hope to see you on the mat next week!